The MUTEC MC-3+USB smart clock is actually indispensable. "What? Indispensable? How come? And what actually is a clock and why are there only so few on the market?" These questions will be answered in this review. But please, do not complain if you will be a thousand Euros poorer after you read this article. Well, in digital devices a clock (master clock) is almost always built-in. 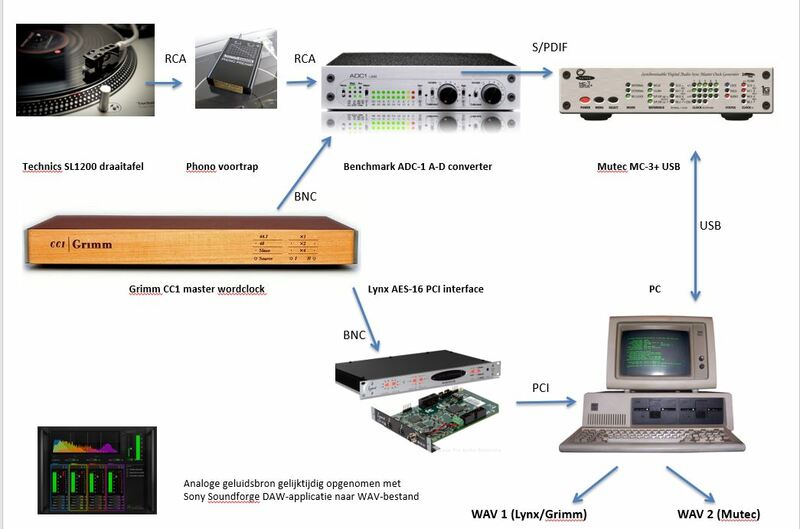 Whether it is a DA or an AD converter, a streaming device or a PWM (digital speaker) all of these devices own a clock. This analog (!) item controls the digital samples’ timing as a digital signal is different from an analog signal. While an analog sound wave is a continuous signal, a digital recording approximates the analog continuum as closely as possible by an incredible number of digital samples (compare it with photos and the amount of their pixels). It generates per second 44.100, 48.000, 96.000 or 192.000 samples and sometimes even more. In addition, the bit rate can even differ between 16 and 24 bits (we leave DSD aside as this method is fundamentally different from the 16/24 bit conversion). If you want to have a good time, you need a good clock. A good clock must put these samples precisely back to their place, be it in a digital mixer, an effects processor or a digital-to-analog converter etc. The higher the clock speed is, the more precise the clock has to be which is rather logical as a "mistake" becomes exponentially bigger with an increasing clock rate. The clock controls the samples during their transfer from one to another digital device. When a processor misses this information, timing errors occur and the empty space is filled up or simply omitted. Among others, you can hear this temporal unevenness when the stereo image loses its three-dimensionality and instruments or voices become less distinguishable. The transient information suffers the most from these timing errors. The better the audio system is, the more problems will arise. Timing errors of the clock signal (non-intermittency in the clock signal) lead to the infamous jitter that generates amplitude-harmonic distortions in the A/D and D/A conversion. Especially in the D/A conversion and always when we speak of oversampling, the time errors will be copied and their amount usually increases. In addition to jitter, clicks, signal pops and other annoyances will be audible. in a studio, where you deal with whole chains of digital devices, a central and precise clock is an essential item. The clock controls the information chains and acts in fact as a sort of a logistics manager of digital data streams, ensuring the optimal arrival, transfer and departure of the signal. You probably know the situation only too well, when you stand in a room with two ticking clocks. Once a second, both properly tick and yet they are not in sync, running completely out of phase after a while. A central clock prevents this effect and ensures that the data stream is examined by the same clock. That is why professional studio equipment always provides either a Word Clock in- and output or an S/P-DIF connection for the transfer of the clock signal. The novelty of the MUTEC MC-3+USB is that the clock signal can also run via a galvanically isolated USB connection which increases the possibilities considerably. Most digital HiFi devices nowadays own a USB port and MUTEC succeeded to accommodate the MC-3+USB in a price category that falls within the range of the average audio enthusiast, of home studios or small professional studios. The commonly used clock generator Grimm CC-1 costs about 2.500 Euros whereas the MC-3+USB’s price is around 1000 Euros. Through its aforementioned galvanic isolation, it is also a device that can clean up USB signals coming from a computer. In this review we will compare the two devices side by side. The entire instruction manual shows that the MC-3+USB is determined for the professional market. While the functions of various menus are explained, even we (who are renowned in the world of knobs and menus) really missed examples of connection and application setups for the usage of the device. For some functions only "trial and error" helped which, after several attempts, worked just fine. Bottom line: The handling could be better. The MC-3+USB can be used in so many situations that the lacking of an overview of its connection scenarios is really a disadvantage. Since the target group of the device is also the HiFi consumer, a quick instructions update is necessary. Together with the MUTEC distributor Helios, we illustrated and tried out various connections for you. 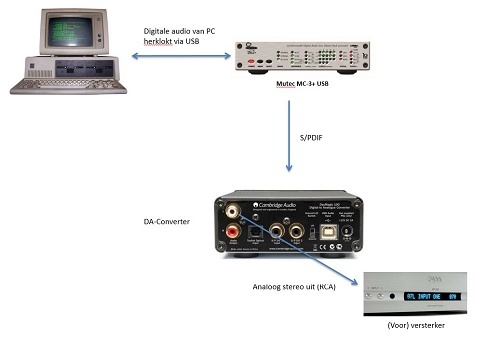 A frequently occurring setup is that a digital audio device (DA converter, drive of the streamer) is re-clocked. Above we show how the MC-3+USB is connected. Another possibility is to connect the PC to the MC-3+USB and play music from a media player, e.g. Vox’ Audirvana. The re-clocked signal is then passed back to the DA converter. In collaboration with MUTEC’s distributor Helios, we compared the MC-3+USB with the CC-1 by converting analog to digital and vice versa. We used a number of vinyl recordings (from electronic music to pop) as a source and re-digitalized them then with the MC-3+USB, respectively the CC-1 as a clock. While listening (D/A conversion) to the music, we made the same comparison. It turned out that the use of a clock is more influential in the D/A conversion than in the A/D conversion. One explanation could be that a timing error may occur in the A/D conversion. During the D/A conversion, firstly the deformation caused by timing errors can not be repaired while secondly, due to the process of oversampling, the clock rate conversion and the like are always intensified. We hear clear differences between the two clocks: while the CC-1 has a subtle warm coloration, the MC-3+USB remains neutral without any "own" signal discoloration. It really is a matter of taste. Some of us find that the Grimm sounds fine while the MC-3+USB stays neutral or analytical, not quite as warm. In any case, this hearing test demonstrated again that a digital audio signal can sound very different and even an external clock can still have an influence on the timbre. Everything's going to be better! How to deal now with the MC3+USB in your living room? We believe that any digital device can achieve better performance in the signal chain when coupled with the MC-3+USB. The more digital devices you use, the greater the effect will be if you control them by a central clock. For the reasons previously mentioned, the effect during the A/D conversion is less noticeable. While playing back (D/A conversion), the effect can be perceived without difficulty. We connected the MC-3+USB to a panoply of devices, from streamers (Sonos, Bluesound) to digital mixers, digital preamps, effects processors and D/A converters. The re-clocking of the MC-3+USB provides a significant leap in the playing quality of the audio signal. Each unit showed a significant audible improvement in speech intelligibility, placement of instruments, spatiality and "blackness" in the sonic silence. With an increasing number of digital devices in the sound chain, an external clock is a device that it is certainly worth the effort to be tested at home. We connected the MC-3+USB to a variety of digital devices, from Sonos to a high-end streamer and to different DA converters. Especially when playing back audio, the re-clocking offers an excellent service. 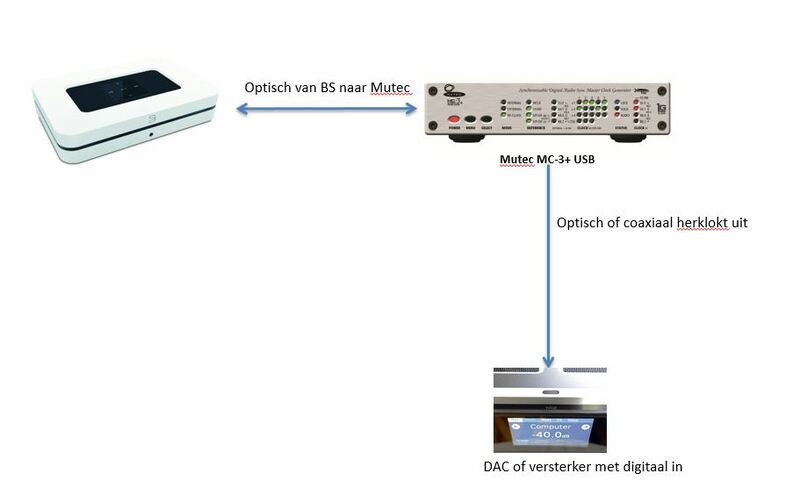 Where previously external clocks were more expensive and inapplicable devices for music consumers, with the possibility of USB functionality and a pricing located in the HiFi range, MUTEC has provided a breakthrough. In short, with the MC-3+Smart Clock USB you will own a clock that makes your digital equipment sound significantly better. We believe that the MC-3+USB will set a new standard in the living room when the external clock and its re-clocking became an important part of the audio system. Well done, MUTEC!